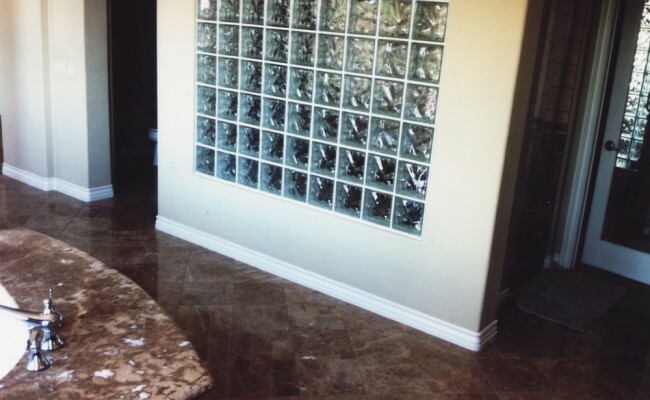 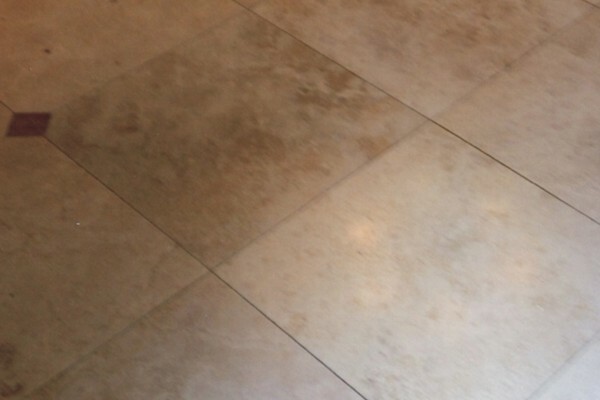 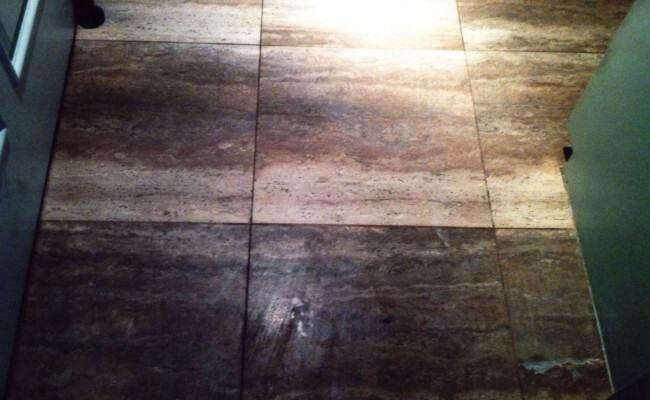 Here are before and after pictures that show the results of a Travertine Floor Cleaning and Polishing job we did in Corona Del Mar, Newport Beach, Orange County, California. 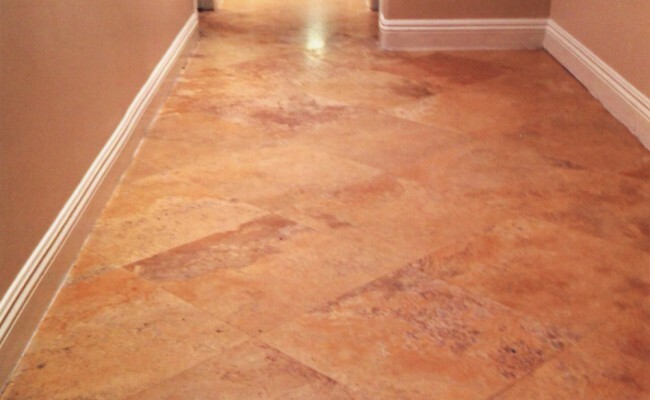 Many types of travertine are notorious for developing holes ( called voids) throughout, after regular use. 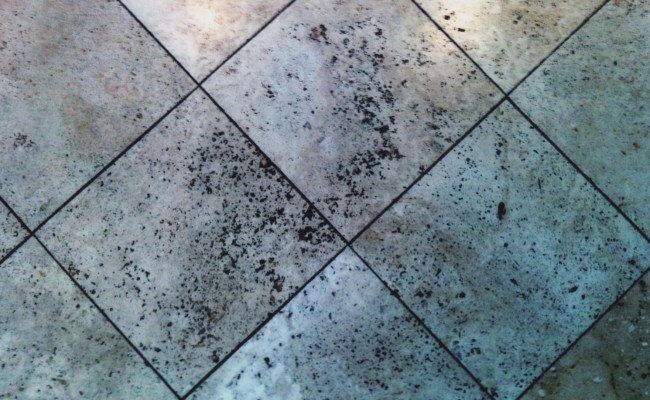 They tend to become a “catch all” for dirt and grime. 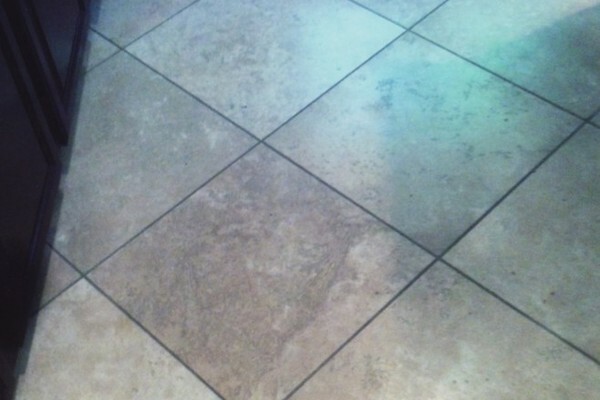 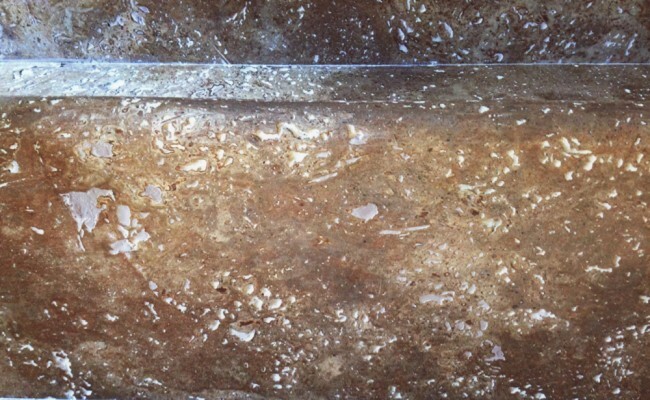 This photo shows an example of a heavily used kitchen floor! 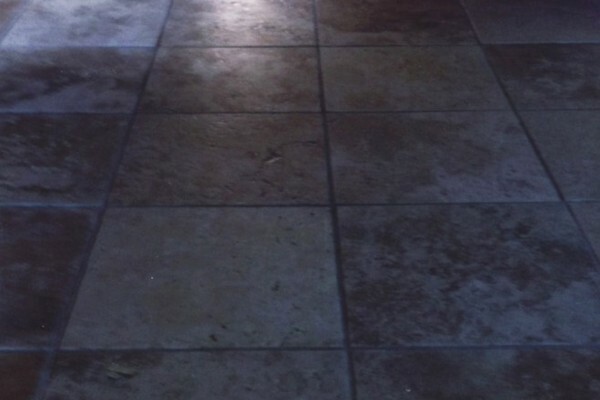 As you see on the “after” photo the same tiles after restoration, notice that the voids are now professionally filled to create a smooth surface which will be much easier to keep clean. 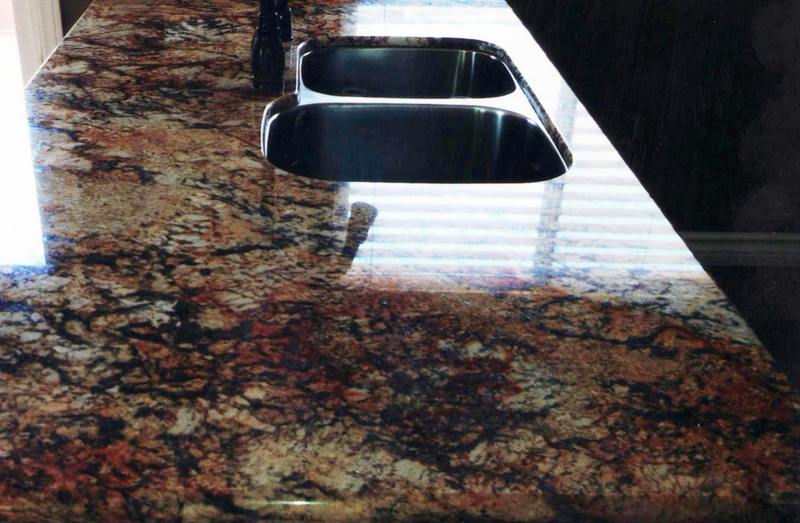 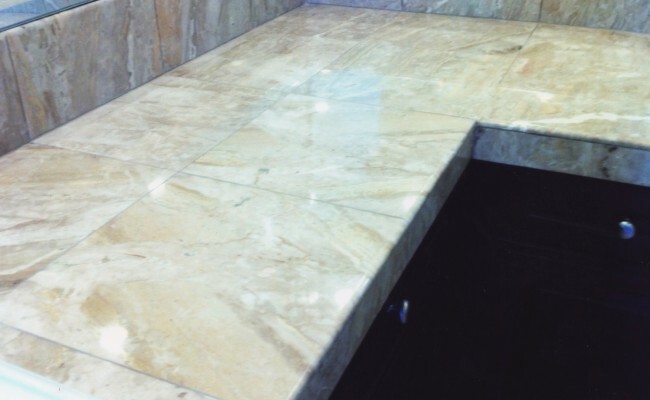 The application of a premium penetrating sealer completes the job! 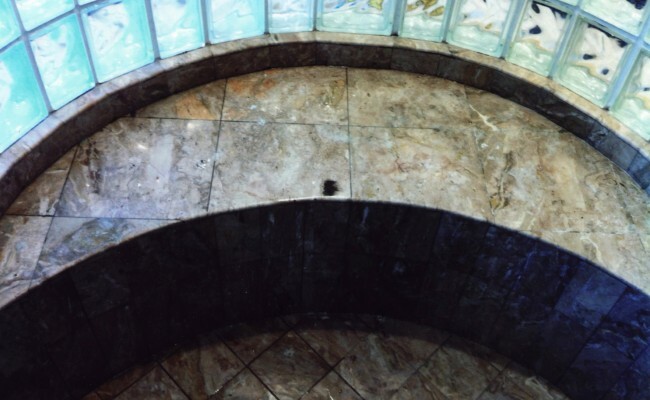 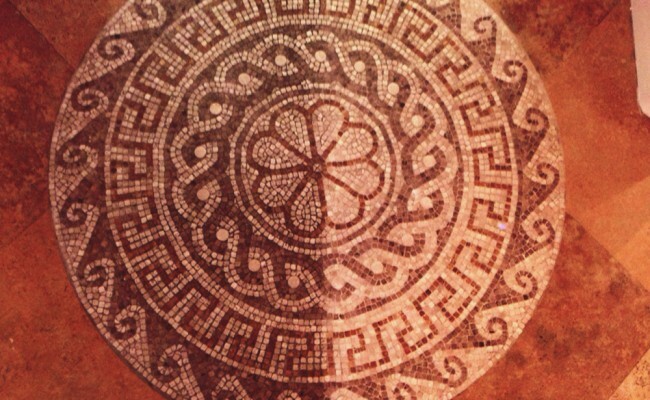 On the mosaic picture, you can see a very filthy travertine mosaic (medallion) in the middle of the restoration process. 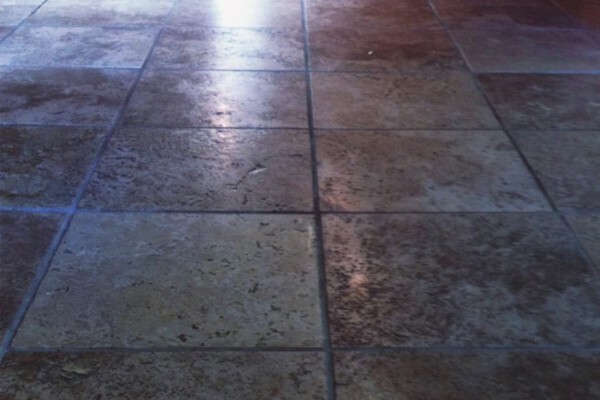 There are literally hundreds of miniature tiles and grout lines that we are able to clean by using a pre-treating solution followed by our vapor machine! 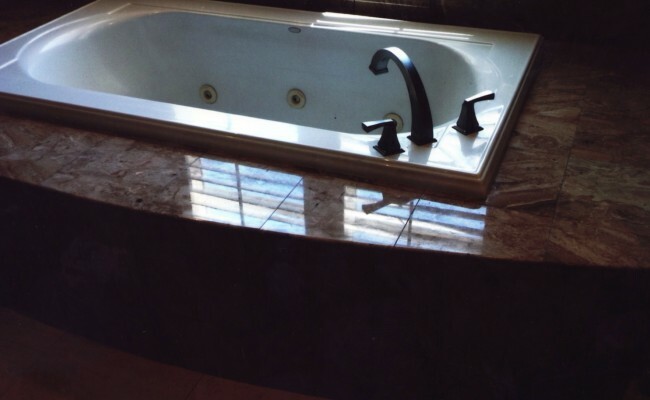 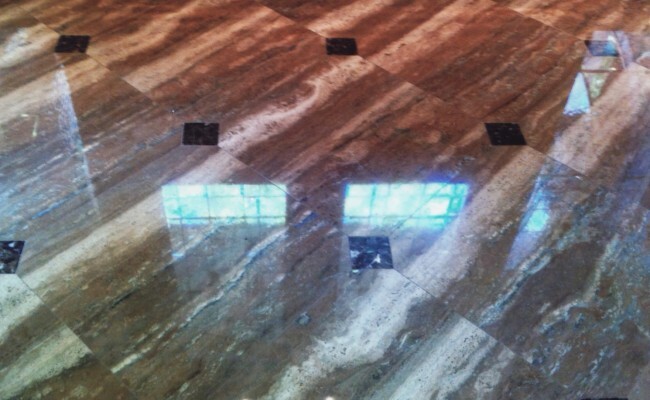 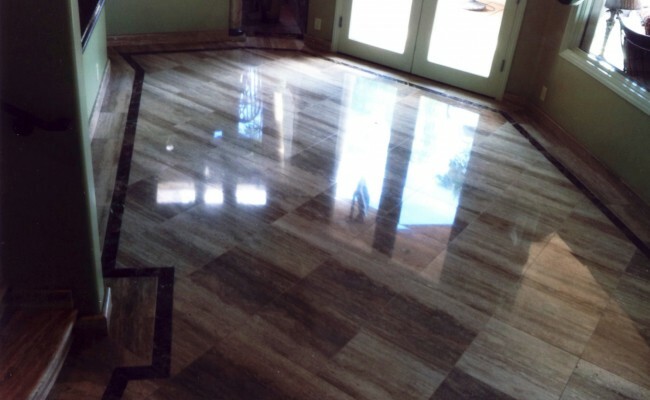 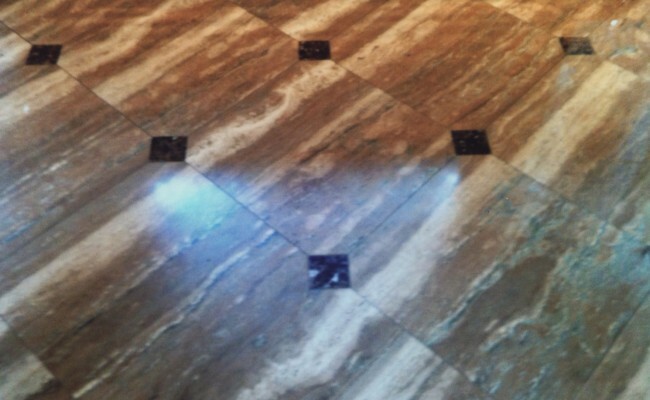 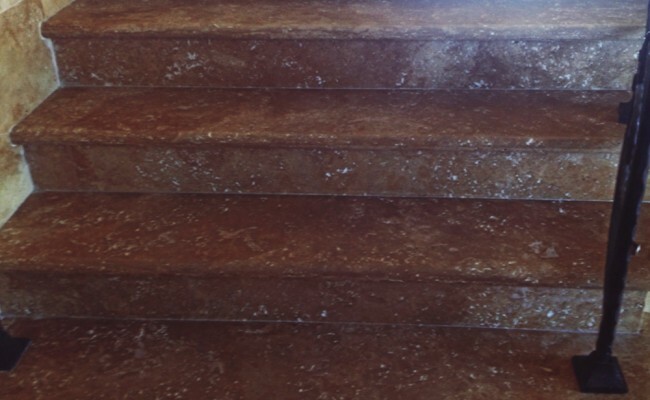 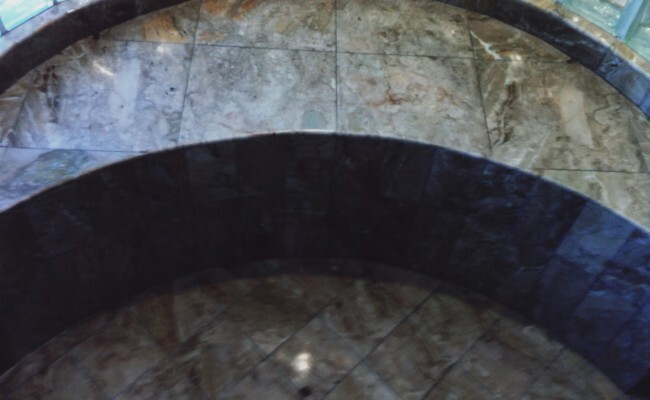 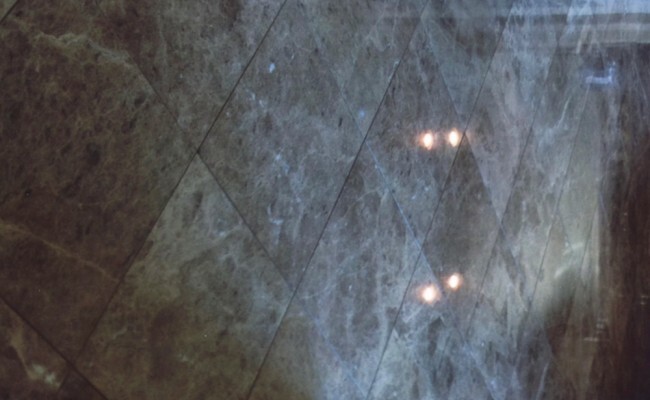 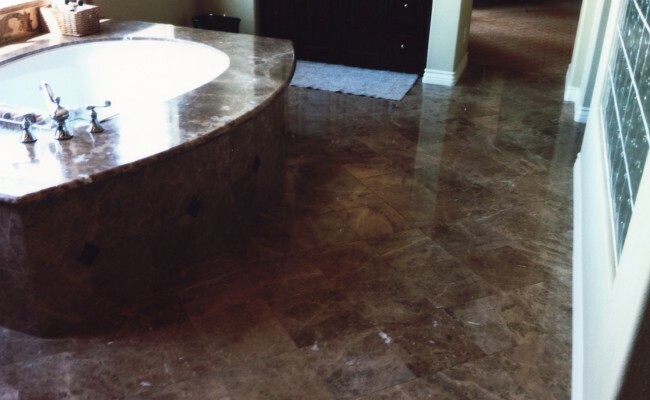 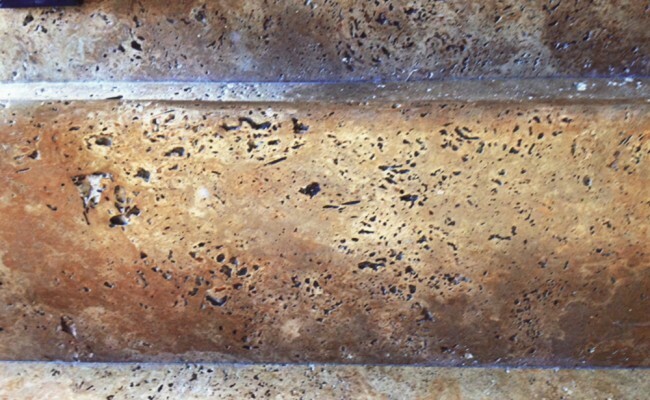 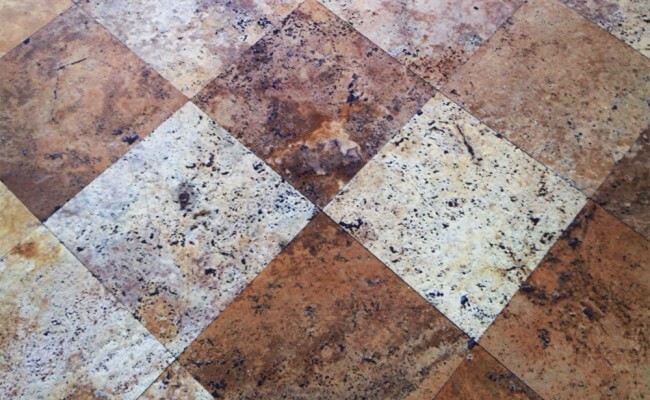 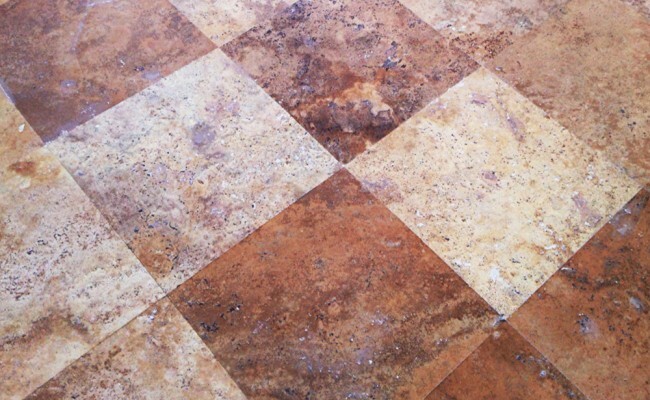 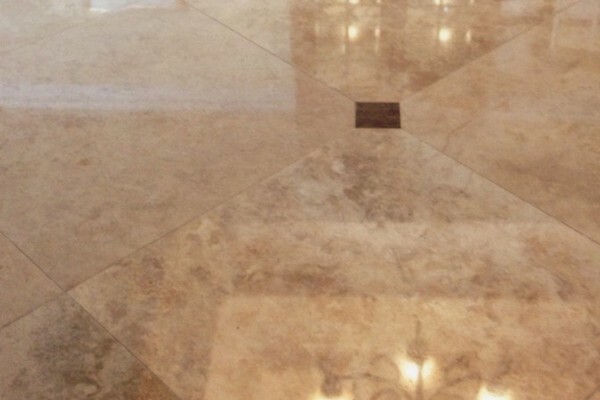 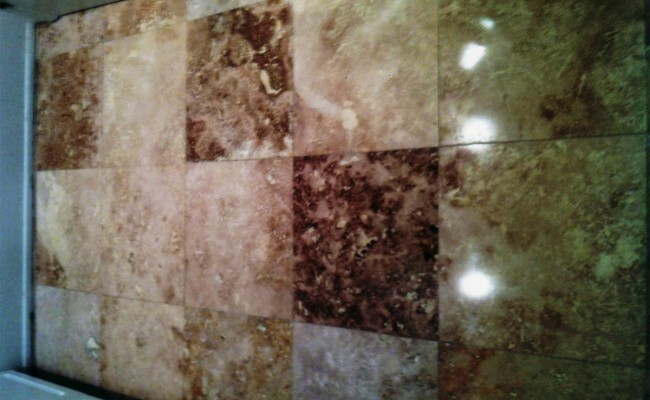 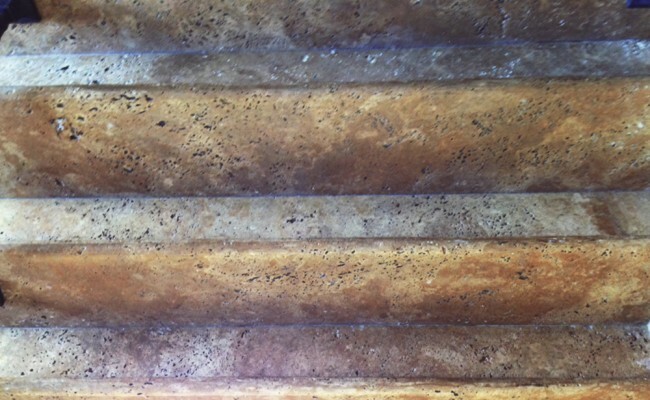 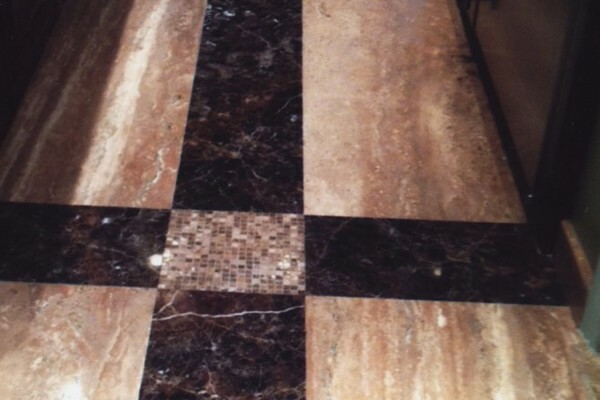 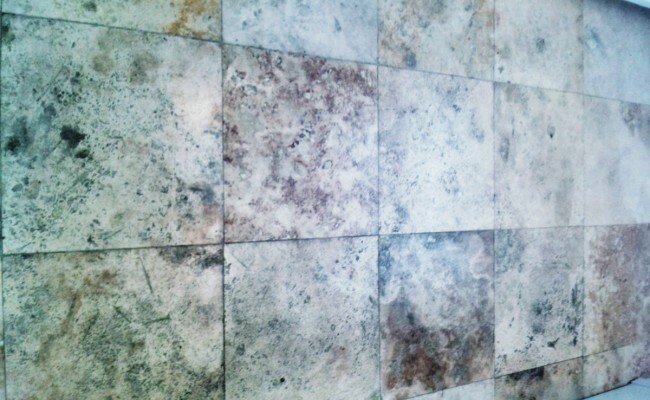 If you have a Polished Travertine Surface that needs Travertine Cleaning and Polishing and live in Corona Del Mar, Newport Beach, Orange County call Vaporlux Stone & Tile at today.